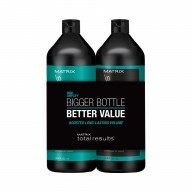 Prevent colour fade and boost vibrancy with the Matrix Total Results Color Obsessed Pack. This shampoo and conditioner combination is designed for coloured hair, to ensure it stays looking it’s best between salon visits. Hair will remain radiant and bright and will feel strengthened. 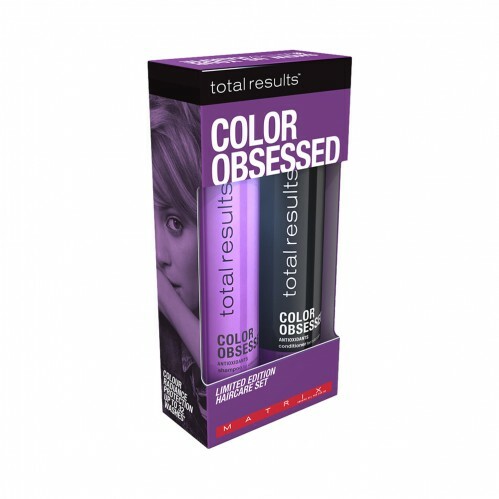 With all you need to take care of your coloured hair, this pack will ensure you can enjoy your colour for longer. Containing sunflower oil and vitamin E, this concentrated blend renews moisture and replenishes hair whilst protecting against colour fade. To use, simply lather shampoo into wet hair and rinse thoroughly. 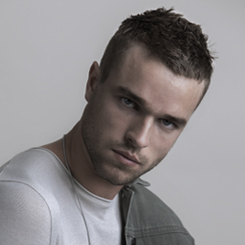 Follow by massaging the conditioner into the head and allow to absorb before rinsing.